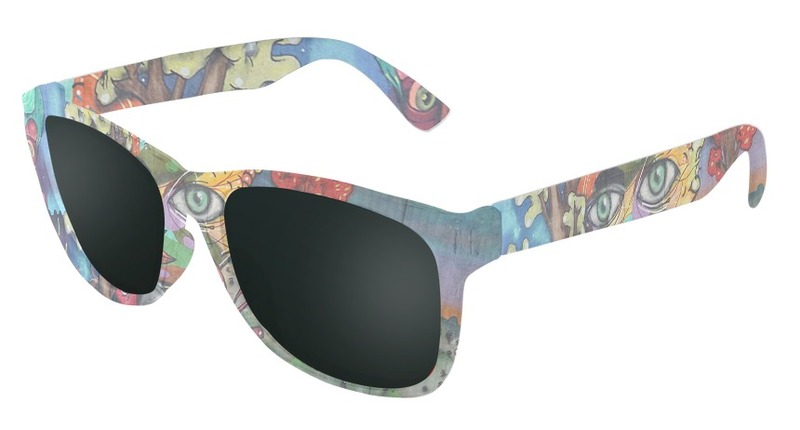 Namaste graffiti custom sunglasses feature a colorful graffiti street art mural of a yogi practicing yoga in a dream land on frost temples and frost front frame with premium smoke lenses. 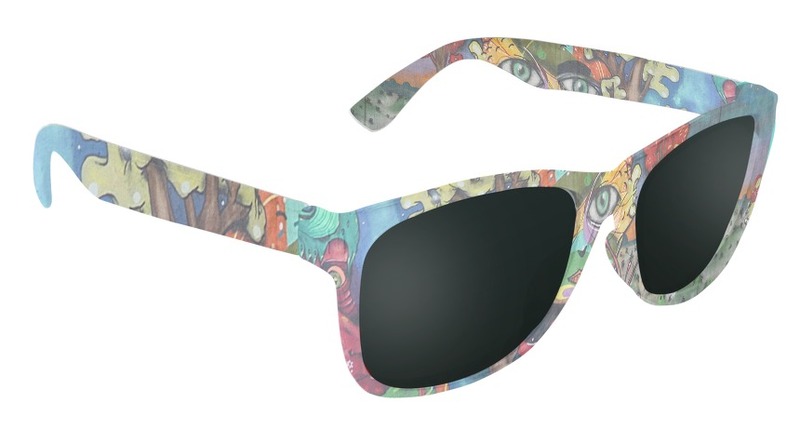 This custom sunglasses design is part of Canvas Eyewear's Graffiti Collection, and is available exclusively here on CanvasEyewear.com! Check Out These Custom Sunglasses I Just Designed! Design your own Canvas Eyewear custom sunglasses! Upload images or customize Canvas' patterns for a pair of custom sunglasses you can truly call your own. Your custom sunglasses will be completed and shipped within seven business days of your order being placed! We offer FREE first class shipping via USPS to addresses in the United States, as well as several other shipping options, including international. You'll be able to select the perfect one for you during checkout. Since we individually produce your custom sunglasses to your design specifications, we are unable to accept returns outside of those that fall under warranty. Our custom sunglasses configurator is designed to give you the best digital representation of your sunglasses prior to being individually produced to your design specifications. Minimal discrepancies may exist from the image you see on your monitor to the actual pair of custom sunglasses, including color shade and/or placement of design.